Locating ag financing is probably the most crucial step in your planning. We have the people and the lending products to help you gain solid financial footing – no matter what size your farm or ag business is. With competitive rates and service delivered by experienced professionals, First Mid understands the demands of your business. What kind of ag financing is available? 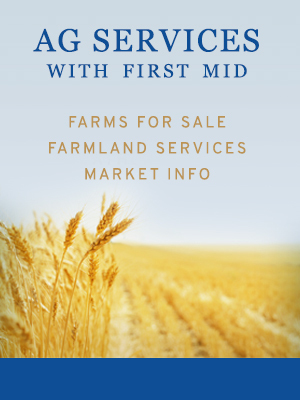 Contact us today to connect with a member of our Ag Services Team.